The term “private equity” continues to evoke both admiration and fear. Why? Private equity firms have acquired vast sums of money during the last decade or so. The global value of private equity buyouts has grown from $28 billion to $502 billion (from 2000 to 2006). What has fueled the growth of private equity firms? Many different factors enable them to achieve high returns, such as freedom from restrictive regulations, aggressive use of debt, and high powered incentives both for private equity managers and for the business managers in the portfolio. There is another reason behind these high rates of return – the standard practice of buying businesses, steering them towards improvement, and selling them after a while. The buy-to-sell strategy isn’t always the best way for a company to profit. The approach is ideal when buyers must take outright control and ownership to realize a short-term value-creation opportunity. That kind of opportunity arises when a business is underperforming due to unaggressive management, neglect, or unsuitable performance goals. The benefits of this strategy are often overlooked. For example, a business acquisition will have a quick increase in value for the first three years (25% per year) and will continue to earn a modest return (12% per year). Private equity buys it, puts it on its feet, and sells it after three years. That way, they garner a 25% return per year. Private equity firms have moved their attention to acquiring entire public companies to generate more significant growth. The results are excellent but also are the challenges. For example, a substantial increase has probably already been achieved in public companies through the activism of hedge funds or better corporate governance. That requires greater implementation skills by the private equity than it does when acquiring a business unit. Private equity firms buy to sell, which is why they’re not seduced by possibilities of sharing customers, capabilities, or costs among their businesses. They avoid wasting money and time like corporate centers (who wish to make a synergy of loosely-related companies,) and are focused on lean management with experience in buying, transforming, and selling. Using this approach is not that easy because there are some significant barriers on the road towards business acquisition. In the U.S., there is the tax barrier – private equity funds don’t pay corporate tax on profits from sales of businesses, but public companies are taxed on such gains. Another obstacle is in the overhauling a corporate culture, which requires a company to develop new resources, change its structures and skills, and shed their beliefs about the corporate portfolio integrity. 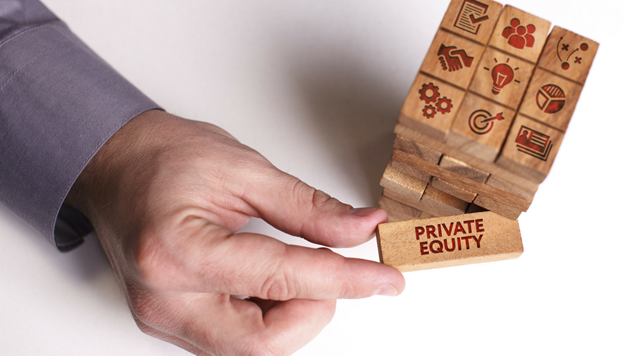 Competing with private equity firms can offer substantial opportunities to public companies. Public companies have an aversion to selling a business to private equity, but it’s high time to overcome it. Greater competition would create a more efficient market, and both public companies and investors would benefit. If your business is undermanaged, a private equity firm can rejuvenate it due to the buy-to-sell strategy, giving your business some intensive care over time. Blackhawk Partners is a firm that offers private equity advisory and investment services. Our primary role is to act as the lead sponsor in strategic equity investments, management-led buyouts, private equity placements, consolidations, and buildups. Now that you know the basics how private equity investors make money, go for the kill and never look back.